Have you ever wanted to eat healthily but simply couldn’t’ afford to, maybe didn’t have the time, or just didn’t think it tasted as good as, say, a pizza? If yes, you’re like the majority of Hyderabadis who find it challenging to make the sacrifices necessary for a healthy lifestyle in the modern world. The good news, however, is that making the effort to eat consciously – without having to give up on the enjoyment of eating out – has become a lot easier than it once was. We are talking about superfood pitstops, healthy vegetarian cafés, calorie-conscious eateries, gluten-free brunches and delivery places. Offering natural and organic desserts and savouries, Cafe aura, a niche bistro brings out the epicurean in you with lip-smacking exotic culinary options. It’s an absolute treat for ardent food lovers, as the store has a separate section dedicated to almost every popular cuisine handpicked by the experts throughout the world. And it’s also a healthy restaurant. Sheshank Kumar, the co-founder says, “We have always had the intention to live and promote a healthy lifestyle. We were brought up in the West and have always been part of the health and fitness department, which is now booming in our country. We were tired of the same oily and sugary foods in the city and wanted to give people an experience of enjoying tasty meal that is equally healthy. the other hand, focus on changing it every month. So if a customer visits our café often, the entire range becomes more interesting. There is a myth that healthy food is not appetising. Our café breaks this myth by proving that healthy food can be tasty and appealing,” he states. But it’s the pizza that elevates Pangea to a whole other level. “Our pizzas are made with homemade dough, stretched, and layered to perfection. Then we add our signature cheeses along with the type of toppings the customer needs. Everything is homemade from scratch and hence the love and care that the chef takes is shown in our dishes,” he adds. Come to think of it, that sounds pretty amazing alongside their Spanish BomBón. Combining their good-for-you ingredients into one super drink, the beverage has a unique texture and taste. “This was one of my favourite drinks from a small café that I used to visit often in Spain. So, when we were streamlining the menu, I decided to put my own spin to the drink and concocted the fabulous experience,” Sheshank concludes. You may think of the Urban Juice Bar as “just another cold-pressed and smoothie juice shop,” but we can assure you that it’s much more than that. So what’s their selling point, you ask? Well, for starters they use the highest quality organic fruits and vegetables and they blend superfood ingredients such as pineapple and flax seeds in their juices. “The everyday juicing concept that’s widely followed in the west was slowly getting into the country, and there were no hygienic places that served juices of the highest quality. All juice bars that we visited were mixing water, sugar or artificial sweeteners. So we wanted to serve pure juice extracted from the fruit, and nothing else,” explains Sanjay Reddy, co-owner of the juice bar. 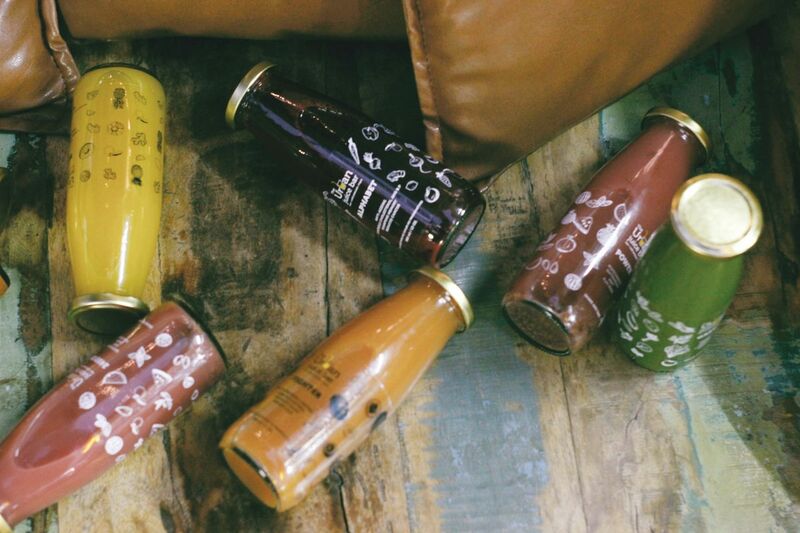 Their cold-pressed and cleansing juices, and takeaway smoothies – all unpasteurised and raw – are perfect for health fanatics. On the menu are healthy concoctions like the Pulp Fiction (a carrot-orange-sweet lime blend) and an Oatmeal Protein Smoothie, which is a mix of rolled oats and muesli, chocolate whey banana, honey, and milk. Also on offer is a cleansing program which consists of eight different juices that are to be consumed per day. It’s a one-day diet wherein you need to consume only juices they provide. It’s a chic place, and if they can make a juiced spinach and celery taste good, they must know what they’re doing. Bring your vegetarian friend to Meghavi O Café and watch their brain explode over the menu options. 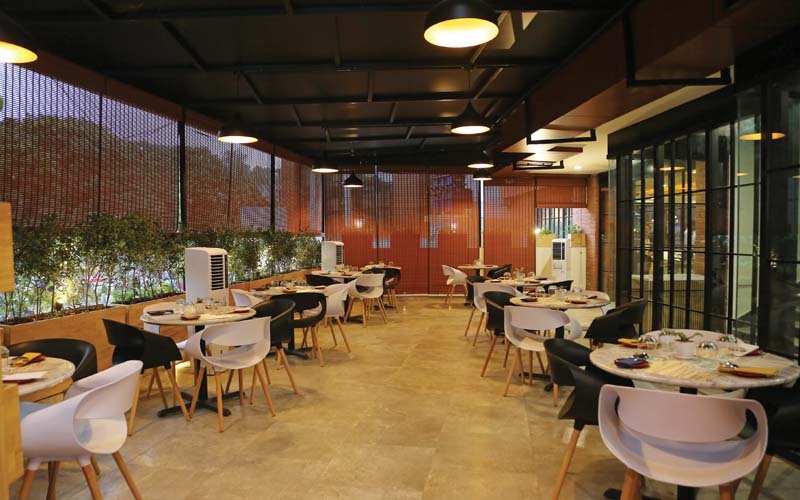 Owned by Megha Dinesh, Meghavi O Café – which is part of Meghavi Spa and Salon – sells ‘clean indulgence’ to an eager audience. The café takes healthy eating to the next level with a fresh selection of meals and smoothies made from ingredients that are not only organic and unprocessed but also high in nutrient and low in calories. 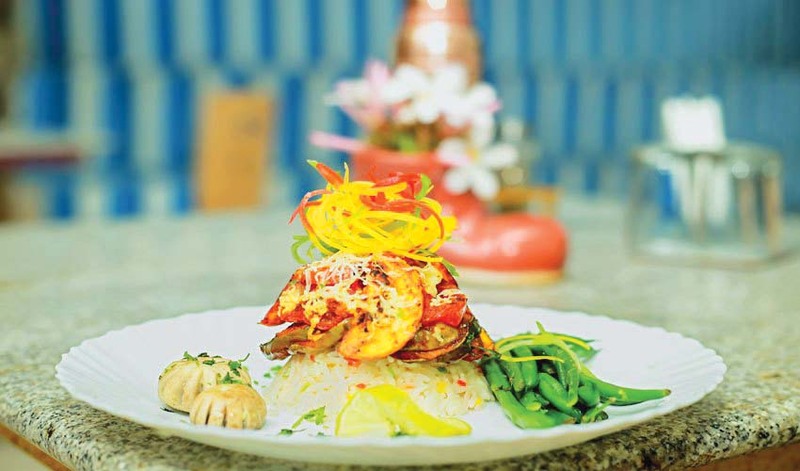 Meghavi serves refreshingly light, vegetable dumplings, which come piping hot with chilly coriander chutney; crusted steamed pizzas made with whole wheat; and veg quesadillas that are stuffed with kidney beans and sprouts. It also makes fresh juices and smoothies on site, but don’t forget to save room for vegan desserts like whole wheat banana peanut butter cupcakes and carrot muffins. We assure you, by the end of your meal you will realise that this isn’t just a healthy café that’s good; the food here is unadulterated, exciting, and worth jonesing for. The Garden Café is a serene, inviting space that gets packed at lunchtime yet still retains an intimate atmosphere. It really is like finding the treasure at the end of a long hunt. The scrumptious food, of course, is just as much a part of the reward. Perfect for a post-gym feast, the café firmly adheres to its core principle of healthy eating. In the span of five years, the popular alfresco eatery has made its name for its selection of Grilled Chicken Steak with mushroom sauce and fresh salads, but where it really shines is in the breakfast department. Think low-calorie Meditarrenean Buckwheat Wrap, which delivers mega-serving of protein and veggies first thing in the morning. It’s the perfect complement to your 8 am Pineapple, Basil and Pomegranate Detox. The other great thing about The Garden Café is that their menu works for both vegetarians and non-vegetarians. For lunch, tuck into one of the best-grilled salmon dishes we’ve ever had. Served with lemon garlic and sauce, it’s packed with omega-3 fatty acids and protein. Vegetarians can opt for Pesto Cottage Cheese Steak with Tomato Basil Sauce. And if you need a sweet treat but don’t want to feel weighed down afterwards, try the carrot cake; it’s organic, vegan, gluten- and refined sugar-free. Love fast food but weirded out by all the artificial flavours and hard-to-pronounce ingredients? Bon Appédiet is about to become your new favourite café. Their objective is to shake the assumption that eating wholesome food is boring and tasteless — and they’re killin’ it. Everything is available nutritionally balanced, from the wraps, soups, and rice bowls to pastas, pizzas, and salads. 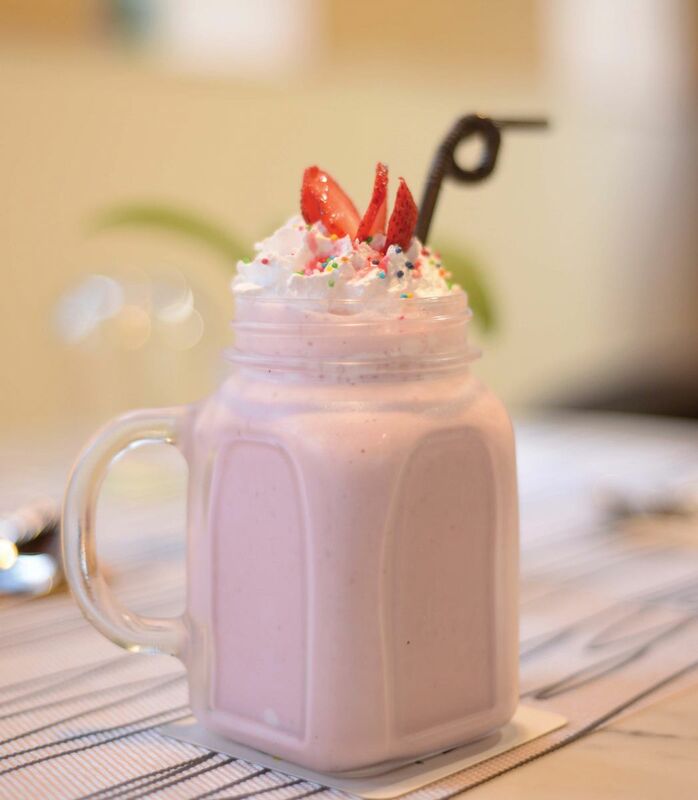 Though the healthy café doesn’t serve up classic fast-foods like shakes, fries, or desserts, there are tons of gluten-free choices—and even fresh fruit and vegetable juices like the Lean Shark, a mix of coconut water with aloe vera or Meal Replacement Smoothie, which is made with oats, protein, peanuts, banana, and yogurt. Delish! Start the day with a whole wheat waffle, Avocado with Egg Whites or Protein Pancakes, lunch on Eggs stuffed with Quinoa, Tofu Satay, Thai Basil Chicken or Fish Grill and finish with a ‘healthy’ Protein Brownie. Seating is limited, but Bon Appediet is just fine for a grab-and-go meal or an early-morning refresher. They offer online deliveryz and takeaways too. There’s a constant stream of health-conscious Hyderabadis at this small yet refined counter serving freshly pressed vegetable and mixed fruit juice. Manvi Sagar Bhagia, founder of Pure Juice and Smoothie, prepares quality juice made with 100% organic ingredients that give you an extra boost while tasting great at the same time. 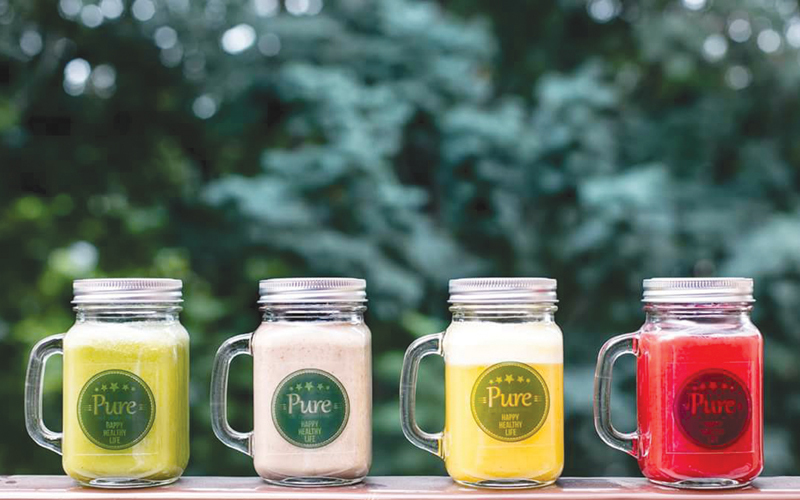 “Our juices and smoothies provide a delicious, easy, and fast way to consume a wide range of fruits and vegetables for all-around health and vitality,” says Manvi. The menu reads almost like a spa treatment list with healthy juices and superfood smoothies that are specifically designed to improve skin conditions, assist with weight loss, combat ageing, and help in cleansing toxins from your system. “Most of our drinks contain the superfood chia that helps one stay full while supplying the necessary nutrients,” Manvi adds. Weight watchers can load up on Pure Detox – pineapple, cucumber, spinach, and orange -- and Protection Smoothie with pineapple, ginger, and chia. Or belly up to the bar for N-ergy (almonds, dates, cashews, and raisins) or the Fab to the Pore (cucumber, aloe vera, and mint). 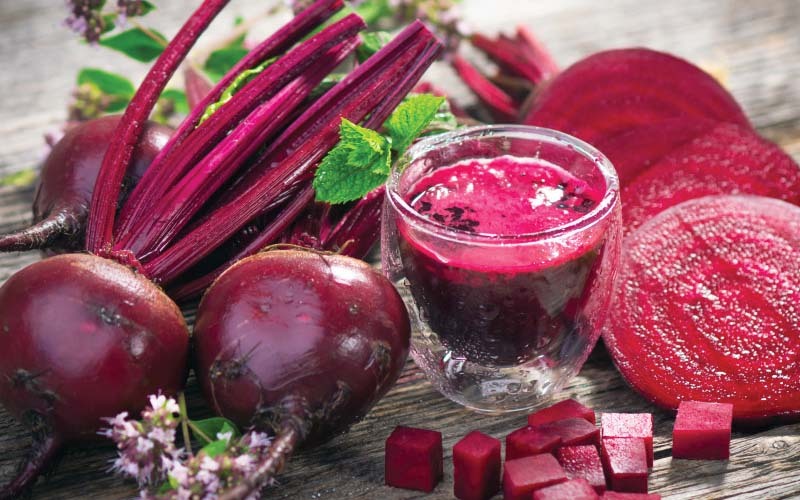 “Pure juices and Smoothies are naturally devoid of saturated fats. We are free from dairy, refinery sugar, cream, chemicals, and additives. Plus most of your drinks have fat-burning ingredients like pineapple, papaya, ginger, cinnamon, coconut oil, and omega 3’s,” she explains. So, what are you waiting for? 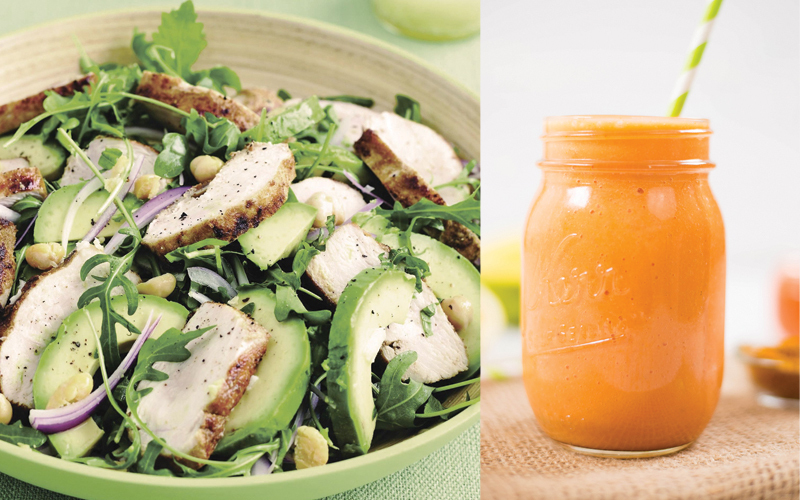 Fill up on those Mason jars with organic juices and smoothies that . You can also call them ahead to pick up the newly launched three-days (with 14 juices), weekly (with six and 12 juices), and monthly (with 26, 52, and 78 juices) cleanses. Few eateries do salads quite like Baguette Salads. They have spare bouquets of miniature veggies featuring rich adornments – Greek dressing, jalapeños, and tortilla chips – that remind you there are equal parts of American and Mediterranean influences behind them. Baguette Salads is a new healthy restaurant that manages to maintain the discreet charm of a casual bistro. From salads like Malibu Beach – which features avocado, tomatoes, cucumber, artichoke hearts, and romaine – to Grilled Chicken Empire State Baguette – avocado, crumbled eggs, tomatoes, cheddar cheese, romaine, and iceberg blend – and even the Chicken Tex Mex Salad, the options are plenty. If you want to up the health ante, opt for Almonderians (apples, oranges, chia seeds, plums, and roasted almonds), or the Melograno Smoothie (oranges, carrots, bananas, and pomegranates.) Home delivery is also available. 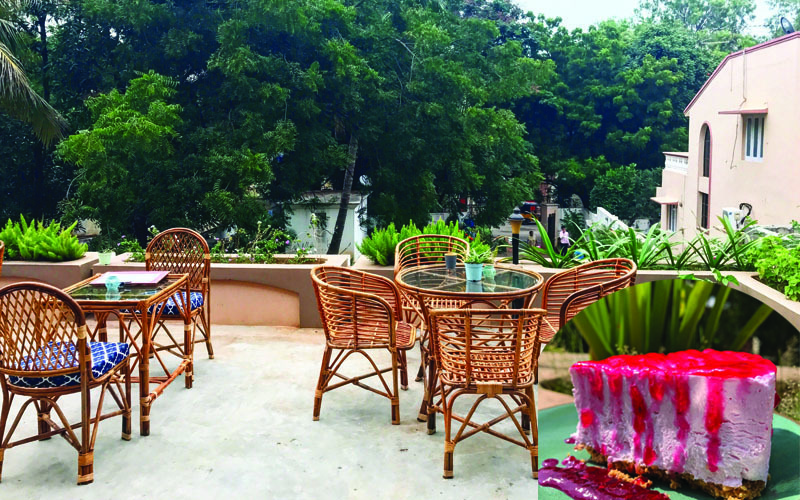 If you live or work in the Jubilee Hills area, SAGE Farm Café is an ideal spot for a hearty brunch or afternoon tea. The setting is simple thanks to a revisited farmhouse, and the high-quality organic products will certainly put forward the fresh and healthy cooking of the restaurant. “Our main food philosophy is based around knowing what you eat. 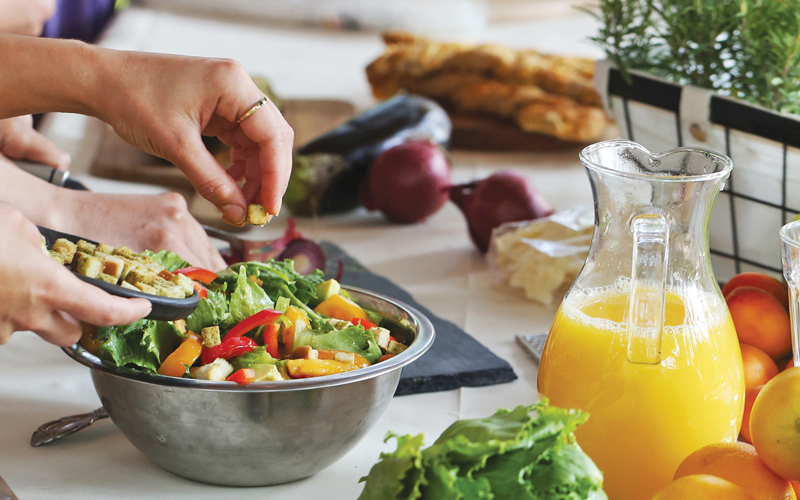 We start with the raw ingredients, safely grown and freshly sourced. 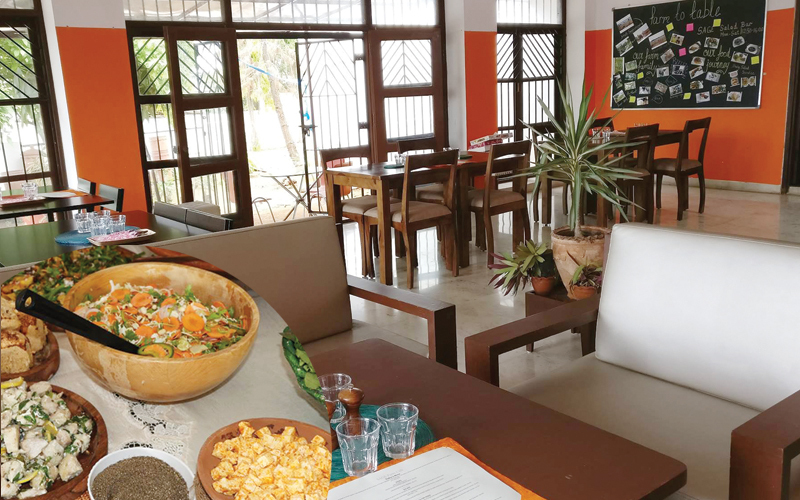 Anything and everything served at the café, from the base to the cheese, are made in-house by us, ensuring the highest quality,” says Kavitha Mantha, the founder of SAGE Farm Café. It’s earthy and unfussy, and you really do get the feeling that the veggies packed into the soup, which is served with homemade whole-wheat pav, have just been picked from a garden. Opt for their Bisibelebath which is the kind of meal you could eat every day – toor dal and low GI rice from the farm, which is mixed with seasonal veggies and served with fresh salad and whole wheat crackers. The menu includes pizza platter, salads and small bites. If you’re there for breakfast, you’ll be pleased to know that their flavourful dishes, such as the Ragi Waffles, Jowar Oats Upma, and Egg Shakshuka are gluten-free, vegan, and made with sugar alternatives. After your meal, you can nip into their store in the next room – the restaurant works as an extension to the store – and stock up on organic grocery items. At the restaurant, the focus is on whole foods, something that is evident in both the flavour and texture of the foods. Picture your weekend family lunch spread, minus all the unhealthy biryanis and lasagnas. That’s essentially what it’s like to eat at Smart Alec - Alternative Deli. The vegan hangout couples homemade and fresh dishes with a relaxed atmosphere. With an ethos of bridging the gap between healthy and delicious meals, the eatery serves breakfast, lunch, dinner, and snacks. Often having a surprising effect on hardened carnivores, the menu features healthy versions of comfort foods such as the Cheese Chicken Fried, except there is no chicken and the cheese is made of mashed potatoes and carrots. Not only is this delicatessen’s menu packed with dishes nutritious enough to be something you made in your own kitchen, they also use organic ingredients, and offers gluten-sensitive, cruelty and cholesterol-free, and diabetic-friendly menus to guests with special dietary needs. But those aren’t the only things that have earned this eatery its bragging rights; they also serve Malaysian Laksha Curry with crispy tofu and rice noodles in a spicy coconut broth; Special Chocolate Ice Cream where chocolate ice cream was made of sweet potatoes; and Spanish Sangria that hibiscus, strawberry, orange, apple, sea buckthorn, and licorice. We could go on and on about this eatery; from zero maida and no dairy pizzas and Strawberry Mouse Cake to Chicken Caesar Salad made of mock meats they literally provide a tasty vegan alternative to every course. Try it once and you’ll be hooked.